Studio/Run Time: Paramount Vantage, 92 mins. The adults in Noah Baumbach's last two films, The Squid and the Whale and Margot at the Wedding, are completely dysfunctional. They’re flawed in an impressively wide variety of ways, especially when it comes to parenting, but we don’t love them for their ?aws; we love them because Baumbach loves them. Most great writers maintain affection for their characters because they’re the author’s creations; they love them like children. But Baumbach loves them through their worst moments more like a child would love his parents. And it’s through a child’s eyes that we see Margot (Nicole Kidman), a mother who unabashedly doles out advice to anyone she meets, particularly her sister Pauline (Jennifer Jason Leigh), who’s about to marry the less-than-impressive Malcolm (Jack Black). 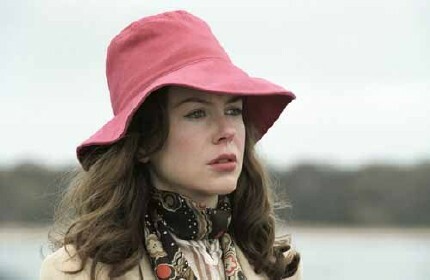 But as Margot tries to dominate the lives of those around her, her own is about to self-destruct. Baumbach revisits the relational angst of Squid even as his previous ?lm’s ‘70s vibe colors the present-day Margot. Margot's son Claude (Zane Pais) remains at the center of it all, innocence forced to carry the burden of guilt and shame his mother refuses to bear.